Lille: Borna Coric and Marin Cilic put Croatia in complete control of the Davis Cup final on Friday, leaving hosts and defending champions France facing what looks like mission impossible. France captain Yannick Noah’s odd choice of Jeremy Chardy and Jo-Wilfried Tsonga for the opening singles rubbers backfired spectacularly as Croatia built a 2-0 lead inside the huge Stade Pierre Mauroy — home to Lille’s soccer club. There was an end-of-era feel during the build-up to the final — the last before the 118-year-old team competition gets a major revamp next year. Few fans are more passionate about the Davis Cup than France’s and they cranked up the volume with their choreographed chanting as the players walked on court for the anthems, accompanied by fireworks and spotlights. 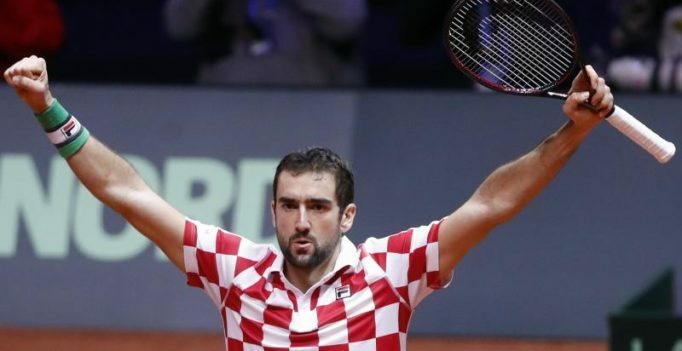 Cilic rammed home Croatia’s advantage with a performance of brute force. No amount cajoling from Noah or support from the blue-clad fans could help former world number five Tsonga fend off the mighty attacks of Cilic.